Serving those in need in our community. Wednesday 1 to 4 p.m. | Saturday 10 a.m. to 1 p.m. Emergency requests at times other than the above only by referral from another agency. Guidelines to follow while visiting or assisting in the ACTS Food Pantry. Numbers available ½ hour prior to pantry time. Visitors MUST periodically update their information. Visits to the Pantry are limited to two times in a calendar month. Visitors MUST follow ALL posted or spoken rules, limits and guidelines. Visitors will be made aware of daily limits. Visitors may choose one meat and one bread. Visitors who are single and sharing a house or apartment with other singles are considered as a family and eligible for one share from the Pantry. Income of all adults residing there must be reported. ACTS partners with Food Rescue. Click here for the Pantry Client Form . 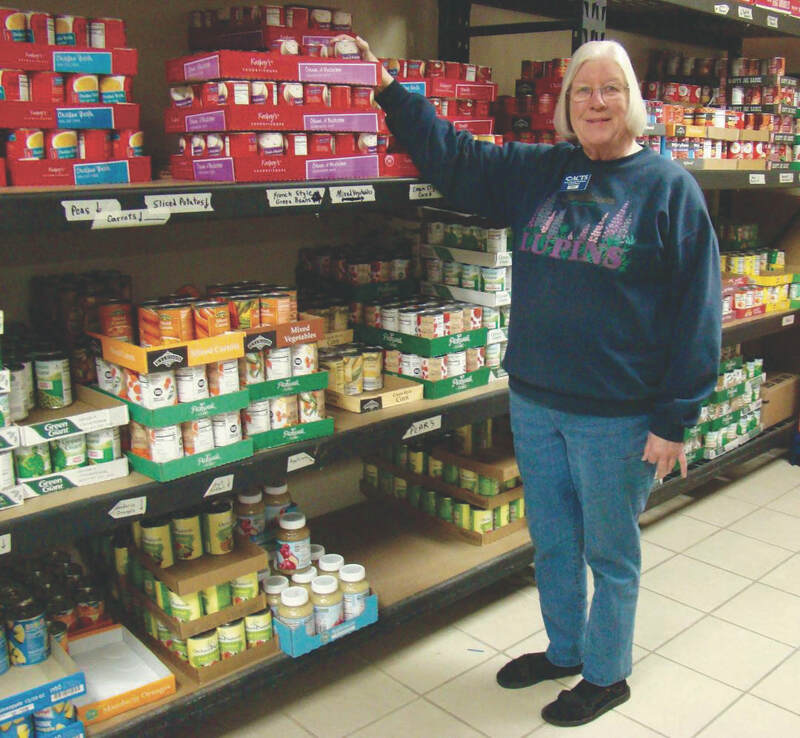 "If this is your first visit to the food pantry, please bring a photo id and proof of income." To qualify for food pantry assistance, the client family must meet Federal Poverty Guidelines as published annually. The guidelines can be found by searching the internet (CMCS/ CAHPG/ DEEO). A.C.T.S. Pantry uses 200% of poverty as a qualifier. Eligibility is based on the financial situation of ALL members in a household. Everyone who lives together and purchases and prepares food together is considered a member of the same household. Verification of income and information regarding housing arrangements and bridge card status is also considered. ​100% of your cash donations goes to purchase food. Revenue from our ACTS Thrift Store pays for all expenses in both the store and pantry. So you can give to ACTS knowing that all your donation buys food for our pantry. We have remodeled the Food Pantry to include a larger waiting area, improved storage area, double door entry with airlock and a revamped pantry. ​ACTS is a member of the Northwest Food Coalition and participates with Food Rescue.